Early last year, Crikey began a series of pocket guides to the far-right in Australia. Unfortunately recent events including a January 5 rally in St Kilda -- where more than 150 people, including some who performed Nazi salutes and carried SS helmets, expressed racist rhetoric against Africans -- have rendered the series depressingly out of date. 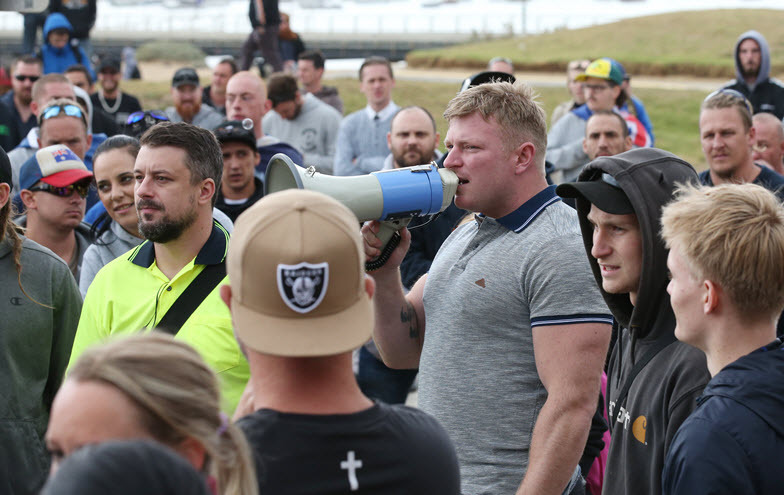 Now, with the help of some of Australia's preeminent fascist-watchers, we have honed in on groups affiliated with the rally in St Kilda to find out who they are, where they've come from and where they might be going. Like Australia, New Zealand does not have distinct hate crime laws. After last week's terrorist attack, is this enough? Riot racket: what does it cost for police to protect far-right trolls? Protecting events put on by international far-right personalities has become a costly side gig for police.